Features A Floating Hook And Stop Tab To Keep Assembly From Coming Apart. Perfect To Strap Down Your Jet Ski. Will Not Mildew Rot Or Retain Water. 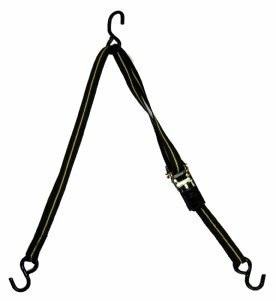 If you have any questions about this product by Cajun Tie Downs, contact us by completing and submitting the form below. If you are looking for a specif part number, please include it with your message.